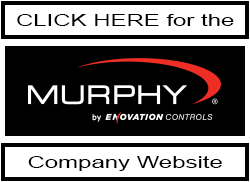 The PowerView® PV1200 offers all the features of Murphy’s popular PV780 with more power, more memory and more real estate to show vital application information on one screen. With its faster processor, this version of the full-color display adds more connectivity with Bluetooth, Ethernet and Wi-Fi capabilities while it includes an expansive 8GB of storage. 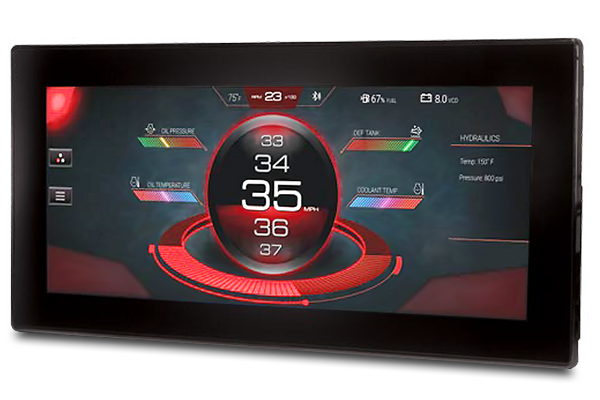 The full-featured, configurable display integrates vital engine, transmission and diagnostic information into an easy-to-read operator interface. The 12.3-inch screen, with glove touch, can be easily viewed, even in full sunlight. 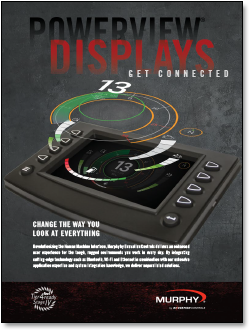 The display’s bonded LCD and rugged design make it a perfect solution for all types of environments and applications. 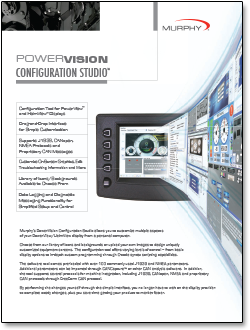 Customization of the display can be accomplished quickly via graphical programming or scripting with the PowerVision Configuration Studio® software. This tool allows for quick creation of personalized user interfaces, custom parameters and specialized graphics for on-screen text, OEM branding and more. 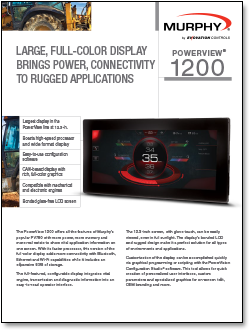 • Largest display in the PowerView line at 12.3-in.